Rhodes W1 - European Gastronomy. Gary Rhodes bringing with him his very own je ne sais quoi that we know and love. 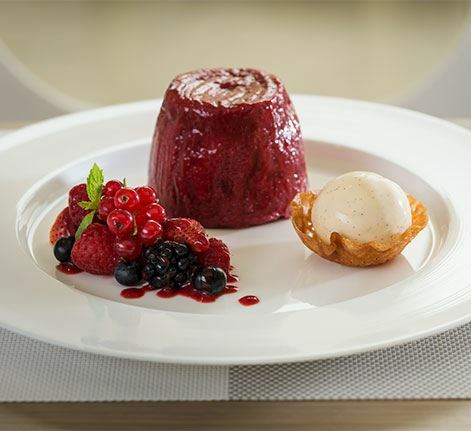 The décor is reminiscent of a summer's day in the breathtaking Anglo-French countryside topped off with inspired ice-cold cocktails, Gary's infamous white tomato soup, braised beef and a terrace Garden, perfect for taking in the panoramic views of the Dubai Marina. The Anglo-French-inspired menu takes diners on a culinary journey giving them the opportunity to sample innovative pairings. 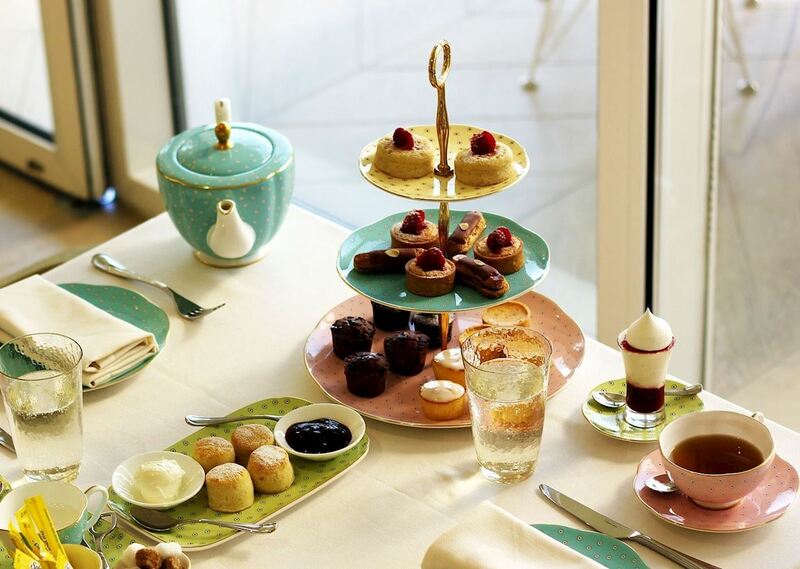 Rhodes W1 Afternoon Tea Famed for his modern take of the best of British cuisine, Gary Rhodes and his dedicated team have developed a fabulously traditional take on the most popular of British traditions - Afternoon Tea. Afternoon Tea is served every Friday and Saturday, from 2:30 P.M. To 5:00 P.M at AED 195 Per Person; AED 295 per person inclusive of a glass of house champagne.